What do you need to do if you wish to win the Euromillions, Mega Millions or Powerball jackpot? Nothing! You’ve just got to be incredibly lucky, or if you are like Stefan Mandel, you’ll work out all possible number groupings using a complex mathematical theory of permutations and combinations. 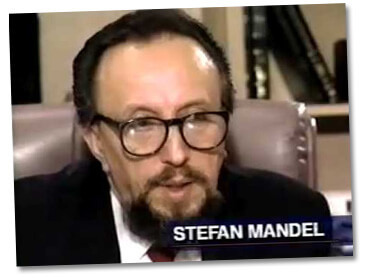 Yes, that is what Stefan Mandel mathematician from Romania exactly did-in the 60s, when Romania was reeling under the tyrannical regime of Nicolai Ceausescu, Stefan happened to crack the Romanian lotto. He subsequently went on to win lottery jackpots in Australia and North America an astonishing 14 times. In order to enhance his odds of winning, Stefan devised a unique algorithm which ensured at least 5 out of the 6 numbers matched the ones picked during the draw. The calculations Mandel worked out for scribbling the near infinite combinations of the Romanian lottery ran to 8000 sheets! The mathematics genius exploited his extraordinary ingenuity to figure out almost all the seven million number combinations of a particular draw organized by the Virginia State lottery in 1992. He not only pocketed the jackpot that had rolled over to $28 milli8on but 1, 35,000 other purses as well. The Virginia State lotto remains his biggest win ever for which he had to fly out the coupons to the US that he had printed in Australia and also maintained soft copies of the slips. Mandel realized early on that he might have to spend tons of money so as to buy tickets bearing all the possible combinations for which he did not have the wherewithal. He surmised that even if he bought out a specific number of groupings, he’d definitely win multiple purses and his hunch proved correct each and every time. Here is the incredible story about the mathematician from Romania who made millions in lottery prizes by taking advantage of a number-picking formula besides guiding others to strike gold! Stefan, like all other lottery players, knew that it was much easier to get hit by a car or struck by a lightning or even become the US president compared to winning the jackpot. But he also figured out something else which nearly nobody configured- all the probable combinations that had an equal likelihood of being picked out in the draw. Since the possibility of a particular combination chosen in a draw was one in a million or even trillion (depending on the lottery you are playing), he realized that he might have to buy millions of tickets to pocket the jackpot, literally speaking. Mandel did not have the resources to purchase tickets in bulk so he came up with an ingenious plan. He explained his near failsafe winning formula to the man on the street and asked them to contribute to the fund that he’d invest in buying tickets. He promised to win the lottery and reimburse them back along with a share of the purse which he was very confident of winning. Mandel and his global betting syndicate would carefully study and track the jackpot rollovers of big-time lotteries all over the world and proceed to purchase as many tickets as possible having almost all the number combinations. On most occasions, Stefan would be successful. Stefan grew up in a Romania that was caught up in a time warp, thanks to the dictatorial and oppressive Communist regime of Nicolai Ceausescu. Majority of the populace lived in poverty and there were few lucrative jobs to be had of. Perhaps the only and best way of making easy money was to indulge in illegal activities like betting and smuggling. Fortunately for the oppressed Romanians and Mandel, the state used to hold a jackpot draw that offered the disadvantaged millions a very slim chance to become wealthy beyond dreams. Mandel who was employed as an economist in a mining conglomerate was well aware that his meager salary was simply not enough to live a decent life. As a gifted mathematician, he comprehended that he could boost his chances of winning the lottery if he came up with an algorithm or mathematical formula that’d enable to calculate all the possible winning combinations. Understandably enough, he was very fidgety when he put his technique to the test. Luckily for him, he ended up winning the top purse of $4, 377 which would be peanuts today but nevertheless it was sufficient for him to buy his passage to Israel by bribing foreign ministry authorities. Israel then (and still is) was the safest country for Jews and Stefan was Jewish. He replicated the algorithm in his newly adopted country and won again. The purse enabled him and his family to relocate to Australia where the cost of living was not very high. He told the Australian lotto officials that he wished to buy tickets for all number combinations. That way, he won the Australian lottery a record twelve times! Stefan kept on replicating his wins till his fortune peaked when he won the Virginia State lottery draw in 1992. And since then he never has to look back. Stefan presently lives with wife Kathleen and two sons in Vanuatu-an island nation lying on Australia’s north. Following his apprehension and incarceration in Israel in 2004 for his alleged dubious betting ways, he sought asylum in Vanuatu. To anyone gullible.enough to believe the post about witch doctors and lottery numbers, please ignor ethe person advocating a witch doctors services. I guess that mail address will likely demand money for a “spell” The post is not clear but I suspect fraud exists there for the unwary.